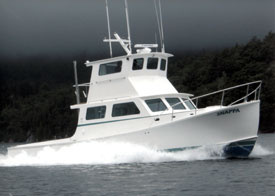 The all new RI charter boat “Snappa” is a 46ft. 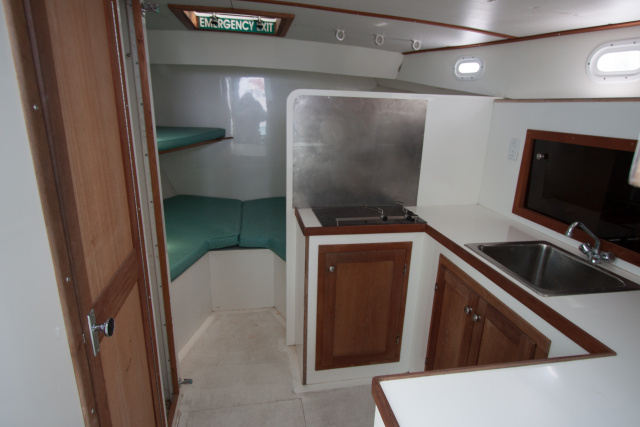 fiberglass custom sport fishing boat with a hull built by the Wesmac Custom Boat Company in Surry, Maine. She is United States Coast Guard inspected and licensed to carry over 6 passengers with a capacity of 21 passengers. Our charter business is located in the fishing village of Galilee/Pt. Judith, which is within the town of Narragansett, RI. A RI fishing charter is only successful if you have the speed and power to go where the fish live. That is why “Snappa” has a Caterpillar C-15, 853 H.P. diesel engine with a cruising speed of 16 knots or more when needed. 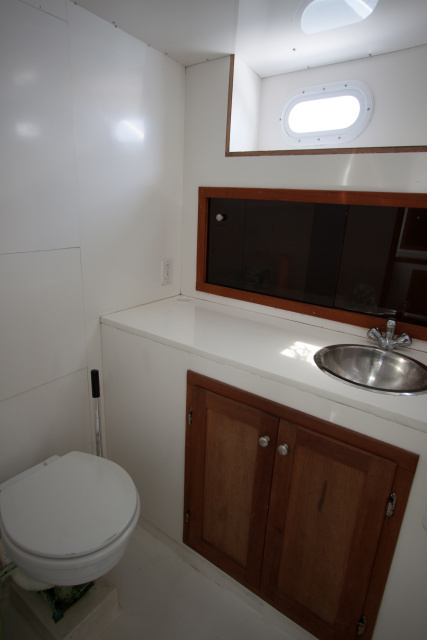 The heated cabin is completely enclosed from the weather and has cushioned seating, dinette, head with shower, galley, sink, and 3 bunks. A full complement of state-of-the-art electronics is located on the bridge. Rhode Island Charter Boat "Snappa"
We cater to all levels of fishermen from the novice up to the more experienced angler and charter to all types of private groups as well as open or mixed group charters made up of individuals. 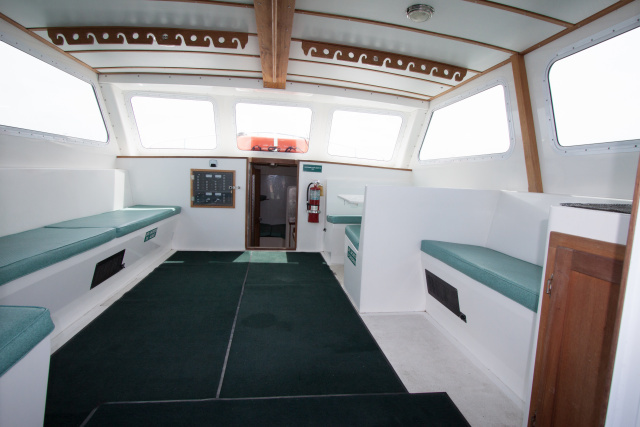 If you are planning an outing for your family and friends, a corporate team building event, a onetime bucket list check off item, or a RI bachelor party, “Snappa” is the Rhode Island charter boat for you. Choose from a half day, full day, or twilight trip to begin your adventure. Whatever trip you choose will be specifically tailored to meet all of your needs. Photographs, professional video, and catering are available upon request. A pick up or drop off in Newport or Block Island, RI including lunch or dinner can be arranged. For those who like to sleep late on your day off, we offer flexible departure times between 6 and 8 AM. When making plans for your RI boat charter, out-of-state groups should consider the state of Rhode Island or the “Ocean State” as a destination. With over 400 miles of coastline, you can enjoy surf fishing, swimming, diving, hiking, kayaking, sailing, clamming, and much more. Block Island: Always include a visit to Block Island, RI when vacationing in the Ocean State. Departing from Galilee Harbor, you can hop aboard a high speed ferry for a 30 minute ride or take the traditional Block Island ferry for approximately 1 hour and 15 minutes, taking in sights on Rhode Island Sound at a more relaxing and leisure pace. Block Island, Rhode Island has been called the Bermuda of the north, located 8 miles south of the RI coastline. It measures 5 miles in length and 3 miles across. Renting a bicycle will test your endurance peddling up many of the hills the island presents its guests. Your workout will be well worth the effort viewing the ocean from atop a 150 ft. cliff or watching many rare species of pelagic birds fly overhead riding the wind currents created by the island updrafts. As the day ends, you can jump in the ocean for a quick swim. Spend a few moments in one of many gift shops and finally sit down and enjoy a wonderful Block Island seafood dinner with tropical drinks. Newport Rhode Island: If you prefer staying on land, you can take a 20 minute drive from Pt. Judith to Newport, RI also called the “City by the Sea”, which will bring you back in time as you walk on cobble stone streets and pass by homes over 200 years old. Enjoy outdoor world class dining as you view sail boats and motor yachts from all over the world that visit this picturesque port. Providence Rhode Island: Traveling 40 minutes north to Providence, RI allows one to dine at some of the finest restaurants our state has to offer. Theaters, the arts, and Waterfires are available when visiting the city. Please use this link to Providence Waterfires to find out more. 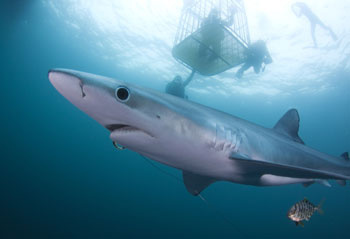 Exploring all the Ocean State activities can make a great vacation while staying within a 30 mile radius from our dock.